The EU and the US are the preeminent examples of multi-level polities and both have highly developed competition policies. Despite these similarities however, recent developments suggest that they are moving in different directions in the area of antitrust federalism. This book examines multi-level governance in competition policy from a comparative perspective. The book analyses how competition laws and authorities of different levels - the federal and the state levels in the US and the national and the supranational levels in the EU - interact with each other. Inspired by the increasingly divergent policy developments taking place on both sides of the Atlantic, the author asks whether the EU and the US can draw policy lessons from each other's experiences in antitrust federalism. 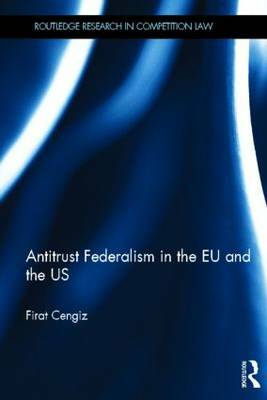 Antitrust Federalism in the EU and the US reveals the similarities and differences between the European and American models of antitrust federalism whilst employing policy network models in its comparative analysis of issues such as opacity and accountability in networks. The book is essentially multidisciplinary in its effort to initiate dialogue between the Law and Political Science literatures in this field. This book will be of particular interest to academics, students and practitioners of Competition Law, Constitutional Law and Political Science.